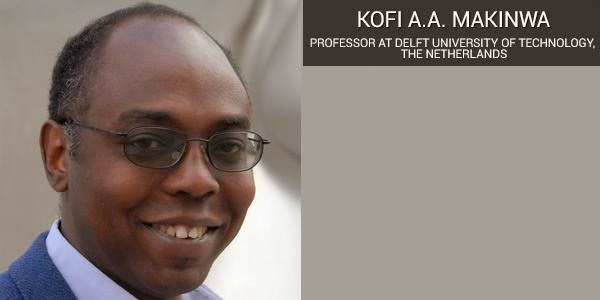 Kofi A.A. Makinwa is a Professor at Delft University of Technology, The Netherlands, where he leads a group that designs precision analog circuits, ΣΔ modulators, and smart sensors. He holds B.Sc. and M.Sc. degrees from Obafemi Awolowo University, Nigeria, an M.E.E. degree from the Philips International Institute and a Ph.D. degree from Delft University of Technology, both in The Netherlands. From 1989 to 1999 he was a research scientist at Philips Research Laboratories. He holds 22 patents, has (co)-authored over 180 technical papers and 8 books, and has given invited talks and tutorials at several international conferences. Dr. Makinwa is a (co)-recipient of 12 best paper awards, and is a recipient of the Simon Stevin Gezel award from the Dutch Technology Foundation. At the 60th anniversary of the International Solid-State Circuits Conference (ISSCC), he was recognized as one of its top ten contributing authors. Temperature sensors are everywhere! They are used in CPUs for thermal management, in DRAMs to control refresh rates, and in MEMS frequency references for temperature compensation, to name a few high volume applications. Conventional temperature sensors are based on bipolar transistors, and must be trimmed to compensate for the inaccuracy (about 3C) caused by process spread. However, trimming is a time consuming process that significantly increases manufacturing costs. This talk will discuss recent research on temperature sensors based on the thermal diffusivity of silicon, i.e. the rate at which heat diffuses through silicon. Due to the purity of IC-grade silicon, such temperature sensors achieve untrimmed inaccuracies of 0.2C, which is much better than that of conventional sensors.